Loki Studios, Maker of Location-Aware Mobile Games, Acquired by Yahoo! Loki Studios, makers of the location-aware mobile game Geomon, has been acquired by Yahoo! according to an announcement on their website. The company was cofounded by Ivan Lee, Chris Meill, and Brian Laub and the goodbye note is also signed by Marco, Sam, Gene and Bart. It looks like the 7 person team will join Yahoo’s mobile team. Notably Jessica Lee, the companies UI designer, does not appear to be included in the note so it is unclear whether she will be part of the acquisition. 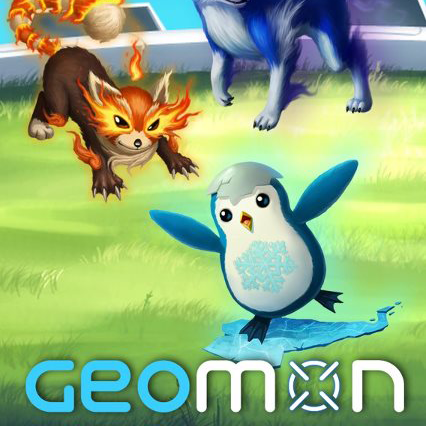 The Geomon game, their first and only title, was free to download but makes money when users make in-app purchases to improve their characters and purchase other premium experiences. Sources familiar with the company say they had roughly 300,000 users signed up. According to AppData they last shipped an update to the iOS app in July 2012. Her targets all generally fit the profile of a Series A crunched startup (though obviously I can’t speculate on each of their exact options when they sold). For starters, none has raised a Series A round. Most had accumulated seed funds in the form of a “party round” with long lists of angel investors but no lead investor. All are consumer-facing. None had experienced any truly notable traction before the deal. (Astrid seems to have been the biggest with 4 million users.) Only one or two had a clear path to revenue. All were well-designed by talented teams of fewer than 10 employees. None of their products were particularly revolutionary or even unique in their categories. All of them were shut down and folded into Yahoo’s offerings upon acquisition with hardly a peep of outrage from their users. Other acquisitions by Yahoo! this year include Stamped, ONtheAir, Snipt.it, Jybe, Summly, Astrid, Milewise, and GoPollGo.